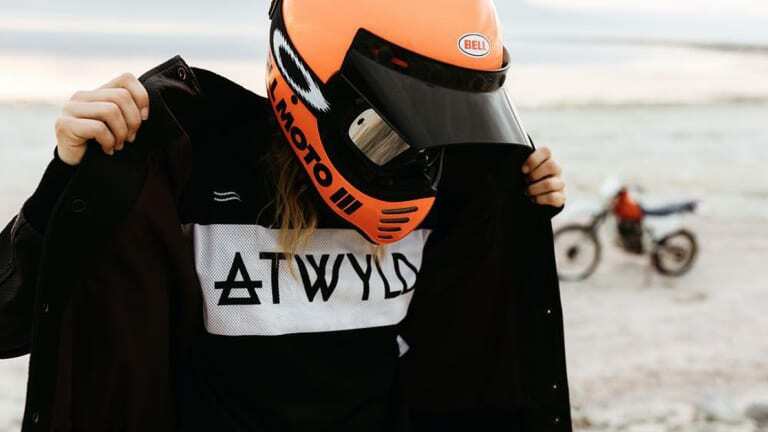 Atwyld is a women’s motorcycle gear and apparel brand that is “inspired by the void and built for the voyage.” Founded by Anya Violet, Corinne Lan Franco, and Jaime Dempsey; these tattooed, badass women are doing badass things in the moto space. When was your first ride? The first time I got myself behind the handlebars of a motorcycle was late after a bartending shift when I convinced my barback to let me try riding his Suzuki. He insisted he sit on the back, incase anything should happen, so I rode the both of us down the wide open street of Center City Philadelphia at 3am, smiling and laughing out loud the whole time. After that I was officially hooked. What stigmas lie within women in the motorcycle world? What are some of your experiences with that? 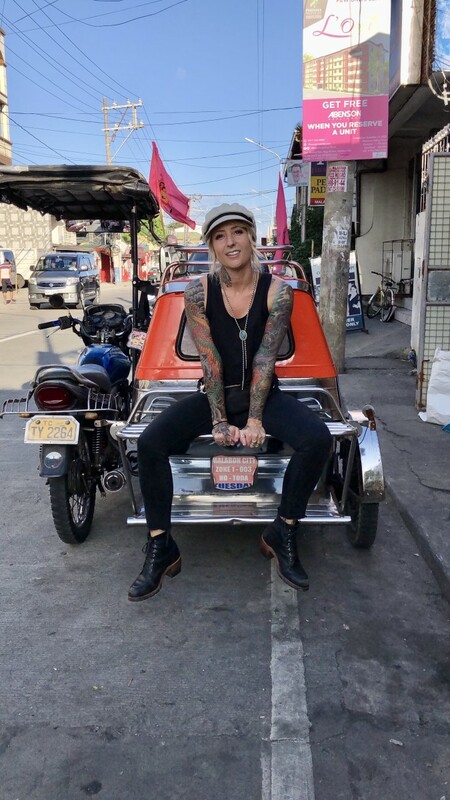 I actually feel like any stigmas related to women riders within the motorcycle community have pretty much died out since women now represent such a large portion of it. Perhaps some people outside of this community, those that do not ride and are unfamiliar with motorcycles, still hold some stigmas. But I personally never come across anything but positive feedback. Girls I meet that don’t ride sometimes call me a badass, and even though I don’t feel like I am, I certainly take it as a compliment. 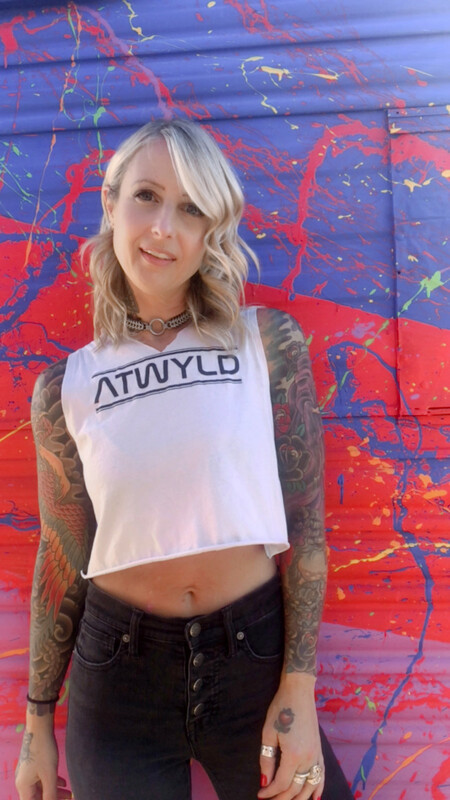 Why Atwyld, and how did you three form together to create this brand? The three of us went on a ride through Angeles Crest, and over lunch we noticed that none of us were wearing any protective clothing. We chose fashion over function because there was nothing out in the market that we thought was both stylish and protective. 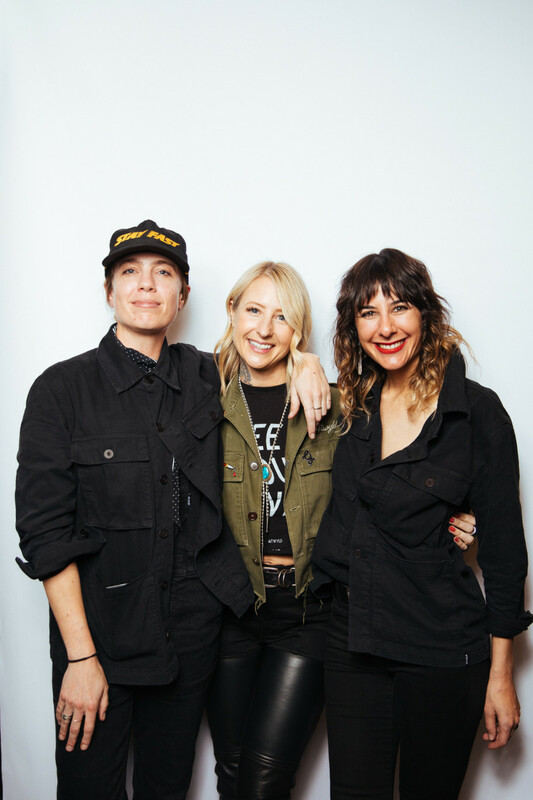 However, we all worked in the action sports industry, and had experience in apparel, so we thought why not fill this void in the market ourselves, and make the clothes that women riders like us would want to wear. The rest is history. What goes into creating the Atwyld gear and apparel, and what is the main inspiration? Atwyld is that moment between fear and thrill that a person experiences when they are on the very edge of their comfort zone. We are inspired by freedom, independence, and a bond to the road. We do not want to be a passenger on a rider’s journey, but an integral part of their riding experience. Every piece is thought out; with fit, quality, and performance as the top priority. We are very hands-on with our product, and we test ride each piece ourselves. We also have representation at many motorcycles shows and events, which give us the chance to talk to our customers and find out what they are looking for that is missing from their riding gear assortment. We take into consideration what street trends girls are adopting, and design the function to work within that style. We want our clothes to look as good on the street as they do on a bike, so that girls no longer have to choose between fashion or protection. And so we can all ride safe. What is the goal of Atwyld, and the dream for the future of it? We are working hard to offer even more choices to women riders when it comes to riding apparel. We have just dipped our toes in the off-road world, and soon we will be including accessories, like bags and gloves, into the line. We hope to grow big enough to be a major competitor in the industry and the brand that every woman rider turns to. 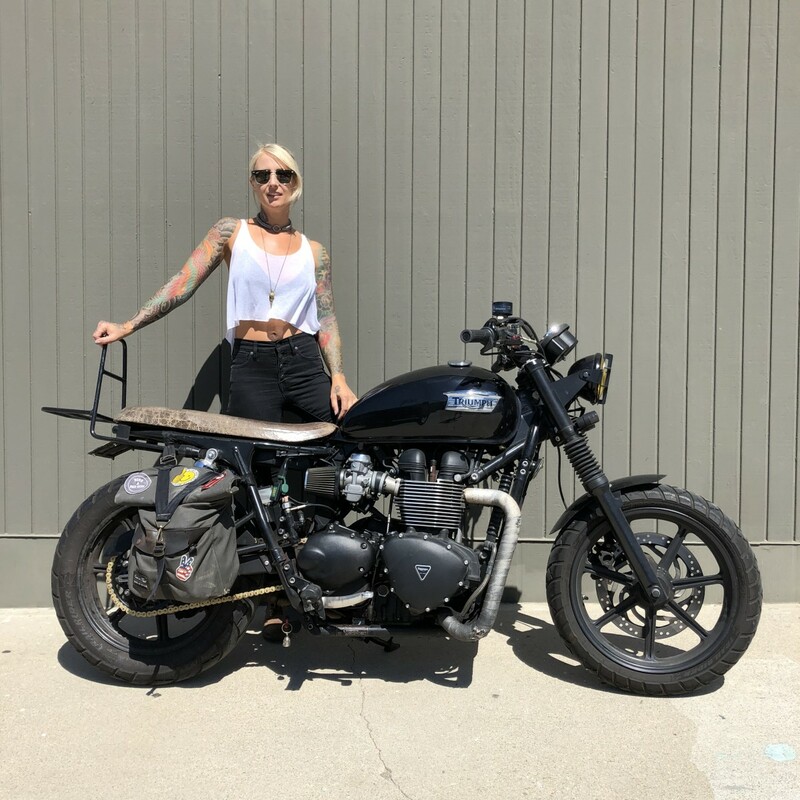 Beyond that, we want to keep extending our reach in the lifestyle sector of our apparel, and keep appealing to women who may not ride or need riding apparel, but love the aesthetic of the motorcycle culture. 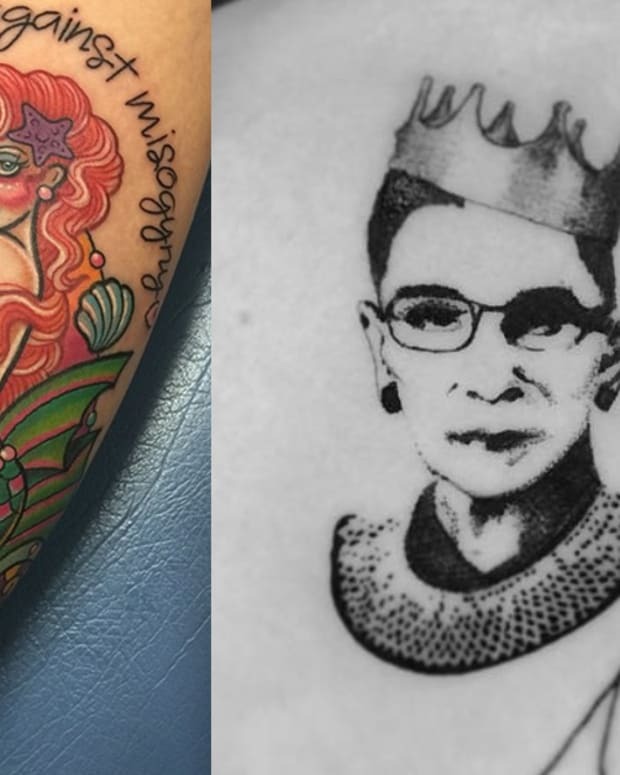 Take us on a tattoo tour of your ink! 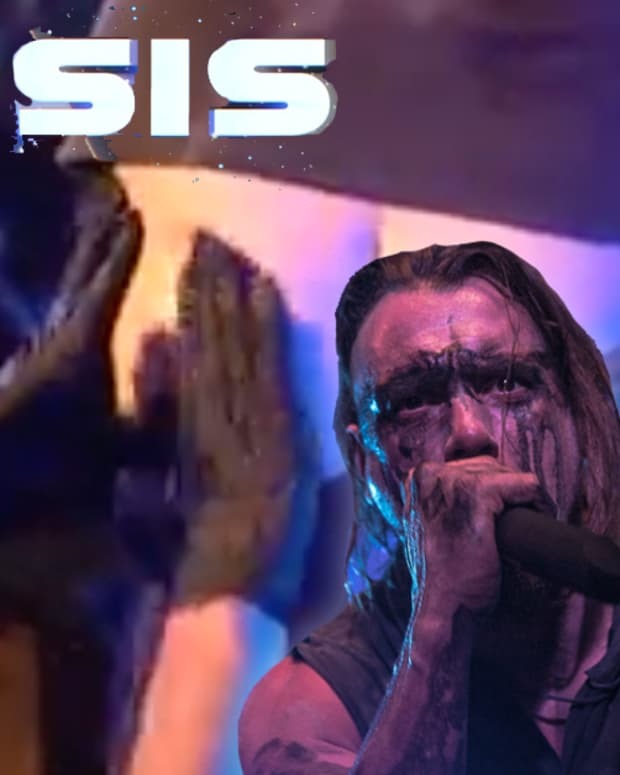 My first lies underneath my sleeve on my left arm, and I will not tell you what it was! I went to art school so I was surrounded by all kinds of artists. 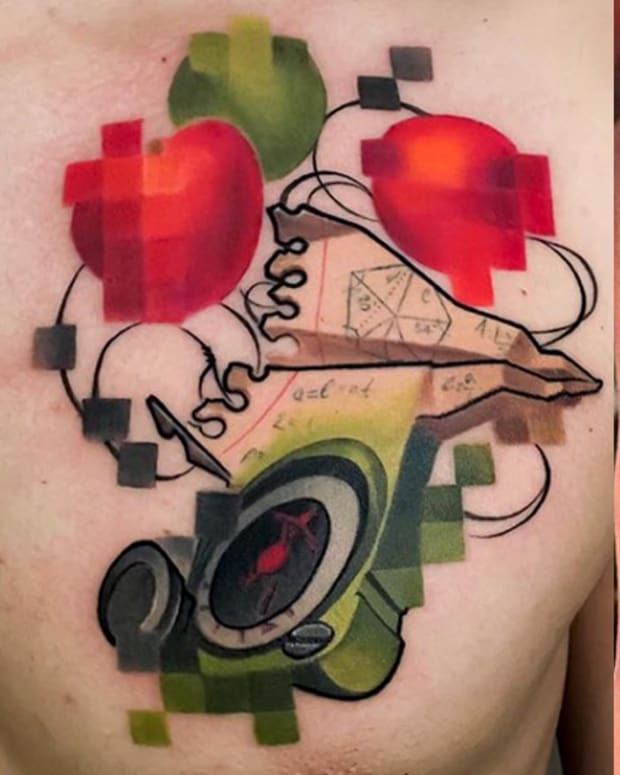 My college roommate had a friend that was apprenticing, and she said if she could stay and tattoo out of our room for a couple of days, I could get a free one. I’d never really thought about them before that. 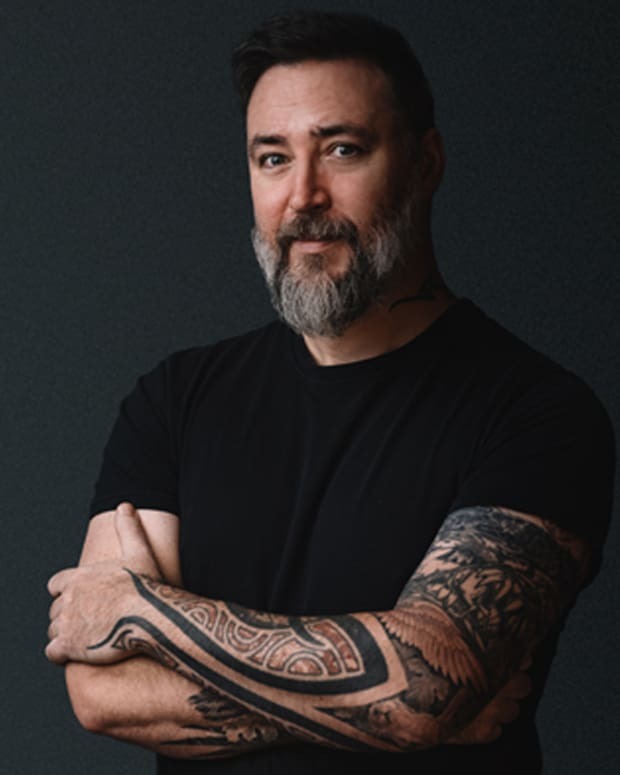 That tattoo is now under my left sleeve… It’s not that it was very badly done, I’ve just since learned more about the different styles and themes of tattooing, and more about what my own style is when it comes to tattoos. They all are special and meaningful to me, and are symbolic of different experiences and stages of my life. The index finger on my right hand is tattooed with Awtyld logos, which marks one of the things in my life that I’ve been most proud of. I have a very special traditional tattoo on my shoulder which I had done in the Philippines by a living national treasure, and I’ve also gotten a few tattoos at some of the Babes Ride Out events. Those are very special to me because they mark the times when I’ve bonded with other like-minded women that share my passion for adventure on two wheels, and the wild weekends that came with them. Do you come from a tattooed family? I think I was the first to get tattooed, and the first to buy a motorcycle, but my younger brother was not far behind me. So now there are two "black sheep" in the family. What is Ride N Seek all about and how did you come on this project? Ride N Seek is a travel documentary I host, in which I ride around different parts of Southeast Asia on a motorcycle, and experience different culture and adventure long the way. I had gotten an inside scoop that they were accepting auditions for the role, and even though I had no experience in TV, I decided that my love of motorcycles and travel were enough motivation to put together an audition tape. Living in LA, it was easy enough to find friends in the film business to help me put together a kickass tape. One week after I submitted it, I got the call that I would be off to Maylasia to film season 1! Now here I am with 6 seasons under my belt, and an endless amount of memorable experiences doing it. What was the hardest/favorite part of that experience? My favorite part is easy. After riding up the twisty mountain roads of Kalinga, in Northern Luzon, Philippines, I took a 2 hour hike into a village called Buscalan. There I met Whang Od, who at 102, is the last remaining mambabatok (traditional Kalinga tattoo artist) of her generation. She tattooed a centipede on my shoulder, with the thorn from a lime tree tied to a bamboo stick, and used charcoal for ink. We were on a bamboo gazebo overlooking the village rice fields in the mountains, and it was the most epic, most beautiful experience of my life. And its all on tape! As for the hardest part… there were many! Riding and filming in the hot and humid climate of SE Asia is, in itself, a big challenge. Staying hydrated is key. I’ve also had a few awful run ins with the local insect populations including — but not limited to — being bitten all over my body by tiny little bugs they call knick-knicks in the Philippines (basically sand fleas.) Their bites swell up and itch for at least 3 weeks. I also had episode where I had to get stung by a bee at a bee farm while they talked about the beneficial properties of its venom. 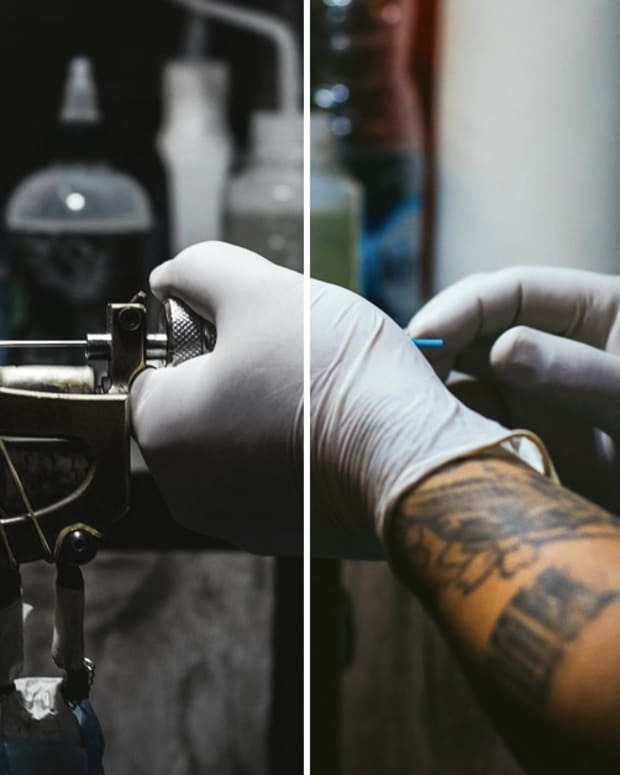 Since I am fully covered with tattoos, we chose to have it sting my left hand, because it is the only visible area of clean skin. What I didn’t know was that I must be slightly allergic because my whole hand swelled up, making it almost impossible to grip the handle bar of my bike for the rest of the week! 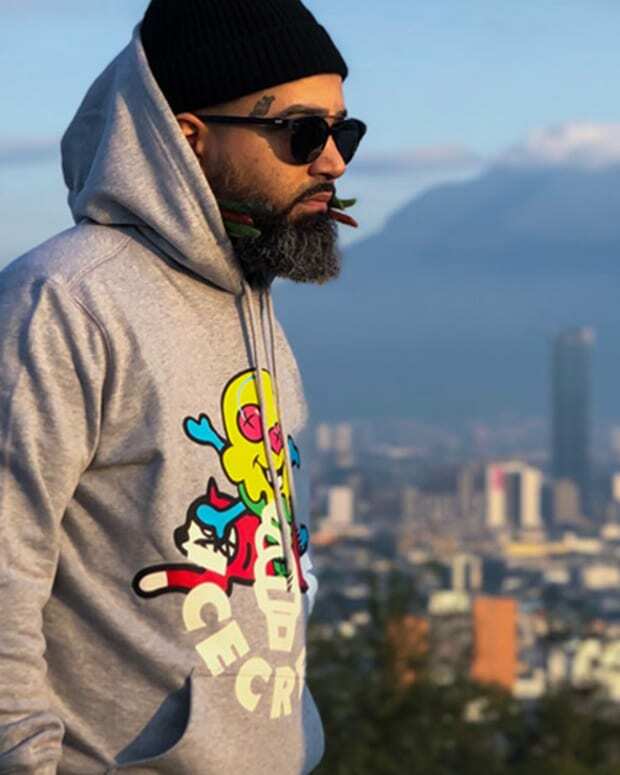 Did you always dream to run a successful clothing brand? Was it always a dream for a clothing brand in the moto space? When I was young all I wanted to be was unique and creative, but I didn’t know what type of career to apply those aspirations to. I tried photography and wardrobe styling, along with a long career of bartending, when finally I decided to use my creative and analytical talents in the fashion/apparel world. It was by chance that I had the opportunity to combine that with my outside passion for motorcycles, and I couldn’t be happier that my road has lead me here. How can we, as a society, beat the idea that feminine women don&apos;t play with bikes? It’s funny because I don’t see it that way at all anymore. 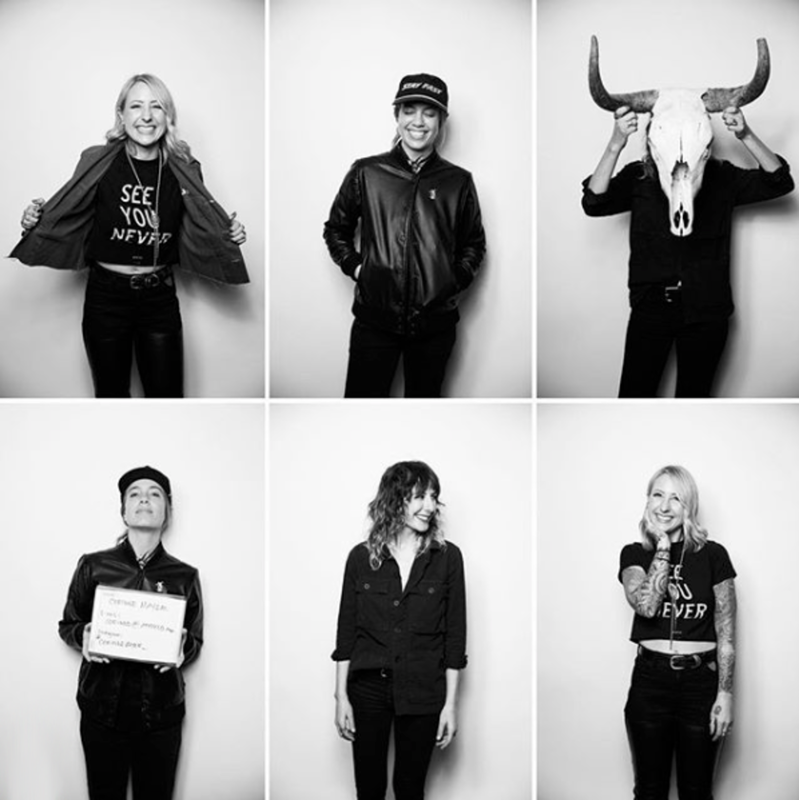 I am surrounded by women in the motorcycle industry who race them, photograph them, write about them, build them, you name it. It is the nature of my business to immerse myself in the women’s moto community, and I have found that there are so many of us around the world. If the archaic idea that women don’t play with bikes still exists, the only way we can overcome it is by keep doing what we already do, which is support each other and encourage any other woman who has an interest in getting on two wheels. I think that that is the main difference between guys and gals in the moto world. 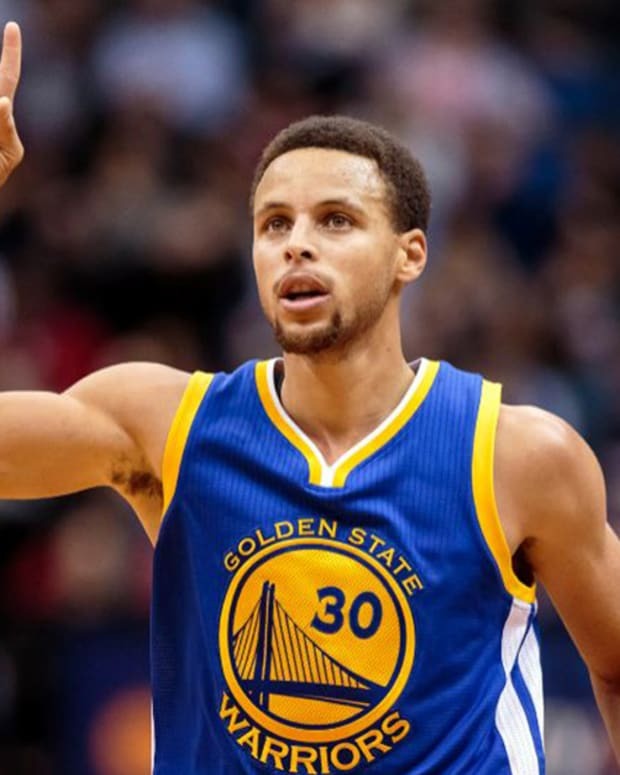 Men tend to be more competitive of each other, and women are more supportive and all-inclusive of each other. How does Atwyld fit into that? Our riding apparel retains a badass femininity. Where many moto brands offer riding gear that looks very masculine, we make sure that our girl still feels beautiful on her bike while also being protected. 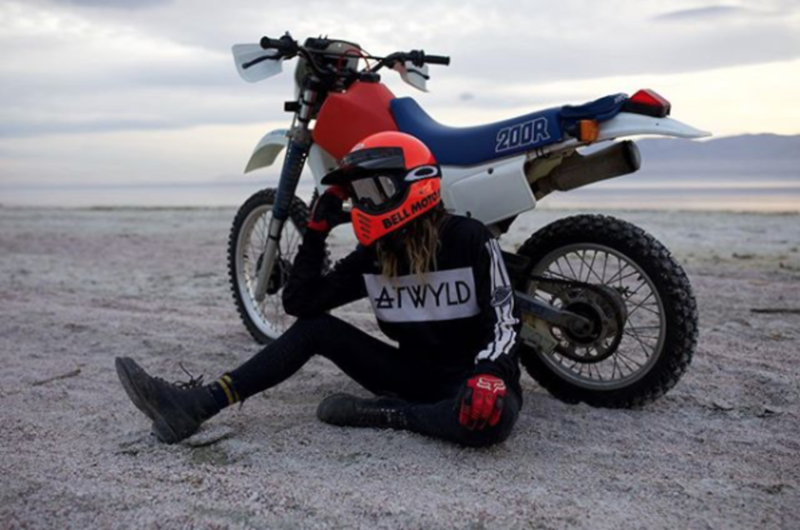 Atwyld also took that idea of women riders being supportive and all-inclusive and created the “Nice Girls Club”- a line of lifestyle clothing aimed at promoting positivity amongst women both in the moto community and outside it. 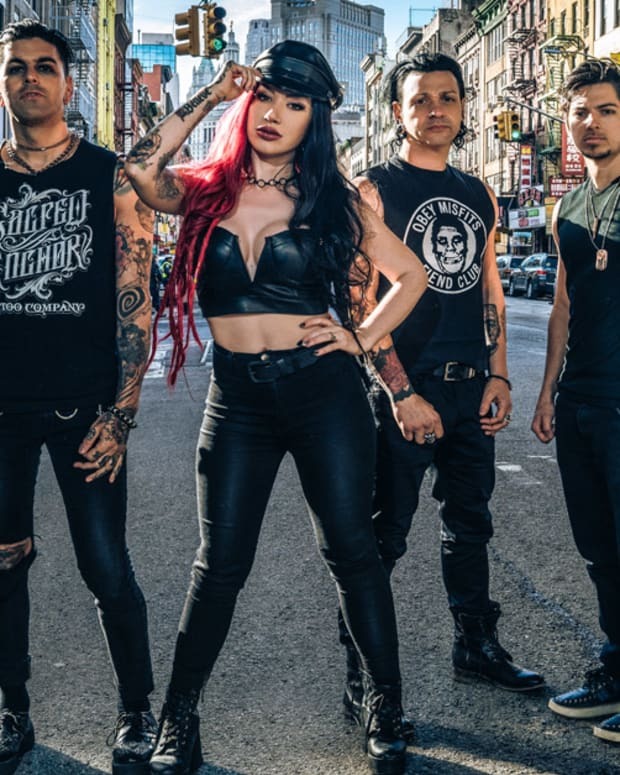 If the idea of the “tattooed woman” is stigmatized, are the stereotypes around the idea of the "biker girl" heightened or lessened, when the two are coupled? I’ve only experienced that a few times when I’ve been outside the city, and I have gotten disapproving looks or comments from random strangers. I feel like once you put the motorcycle into the equation it just becomes less surprising. That’s a tough question! I’ve learned to keep my plans and my goals a little loose, because there is always something that is bound to come along or happen, that changes your course. I like to be open to that. I have a habit of wanting to explore every opportunity that comes my way. Hopefully in 5 years I’ll be the co-founder of a major women’s motorcycle brand, and a badass dirt bike rider. If I’m lucky, I’ll still be doing both 5 years after that!